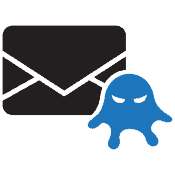 Advanced Persistent Threats (APTs) are stealthy, highly sophisticated attacks that remain undetected for long periods and intended to infiltrate specific targets. The “advance” refers to their significant abilities to evade security environments & products, exploit vulnerabilities in systems & software and gain unauthorized access to your confidential information, intellectual property and other business-critical data and systems. disconnected environments (such as the infamous Stuxnet virus). With many APTs, it takes months and sometimes years before they are uncovered and blocked by traditional AVs and other security products. Throughout the entire Endpoint Kill chain, Deceptive Bytes’ Active Endpoint Deception solution protects your endpoints by creating hostile environments for the Reconnaissance phase all the way to disrupting the Actions by thwarting malicious activities and preventing any damage inflicted by malware and other threats.